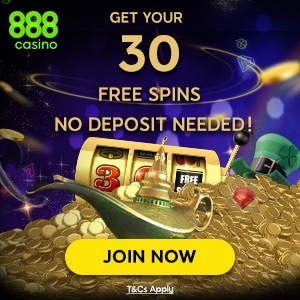 Casino Big Apple Mobile: 10 Free Spins No Deposit Bonus! All new players at Casino Big Apple will be pleasantly surprised when they log into this well designed mobile casino. They have only been in operation since 2017 but they have already collected a superb range of slots, jackpots and live casino games. All the games are of a recognised quality with top names like NetEnt, Blueprint, Microgaming and Big Time Gaming present. Navigating the site is clean, simple and easy. The layout is particularly good on mobile (although it is also pretty good on desktop and tablet too), making finding your favourite slot game quick and effortless. The games are well categorised, allowing you to sort by game type or by software provider. You can enjoy playing hundreds of the most famous slots at Casino Big Apple; with titles like Ted, Bonanza, Thunderstruck II, Panda Pow and Foxin’ Wins. Plus there is a fantastic selection of live casino games and scratch cards to play, making it a real all rounder. Casino Big Apple is an online casino specifically designed for fantastic gameplay on your mobile. The platform runs seamlessly for the best gameplay experience on your handheld device. As well as great gameplay, player support is also a priority for the guys behind this casino. You can reach a member of the support team by email or live chat 24 hours a day. There are many ways in which you can make deposits at Casino Big Apple. Pay By Phone is one method that stands out here as they are dedicated to a true mobile gaming experience. You can also make deposits using credit/debit card, Skrill, Neteller, Trustly, Paysafecard and Giro Pay. You can also claim another 90 Free Spins and up to £100 on your first 3 deposits. Like the sound of that? Click the link below and check it out now. Casino Big Apple offer a safe and fun gambling environment for their players. If at any time you feel like your gambling has stopped becoming fun and is getting out of control there are things you can do to help. Setting daily, weekly and monthly limits on deposits, wagers and losses is a good way to put some controls in place. You can also self-exclude for an agreed period of time from six to twelve months. You can also set a reality check to appear after a set time to stop you getting carried away. Stay safe out there and keep it fun! A superb, dedicated mobile casino experience! Casino Big Apple has a superb selection of mobile casino games and a fast and reliable casino platform to play on. A great place for any mobile slots player!